Repairs to Shower Doors, Bath and Shower Sliders, Shower Doors, Mirrored Walls, Wardrobe Doors, Window and Patio Door Installation, Patio Door Repair, Glass & Mirror Replacement, Glass Replacement , Table Tops, Cabinet Glass, Custom Glass Installation , Fogged, failed, broken double pane glass replacement. As a member of the glass industry located in Contra Costa County since 1972,we offer all types of glass services. Patio door repair, shower door repair, sliding closet and wardrobe door repair, window repair, as well as new and replacement windows and patio doors. We can make glass for your office applications, Glass for desks and work stations, glass for conference tables, Glass for reception areas. Add a shelf above your fireplace, or glass shelves to you Kitchen Cabinets. Glass for your Cabinets and doors. Clear, colored, tinted, textured, obscure glass. Most of them are available in different thicknesses and patterns. Brighten up your entry way or dabble in feng shui with a mirror. Like the look of beveled glass? We offer custom bevel mirror and glass at a very reasonable cost. Sandblast and etched glass at competitive prices. Colored glass , which is all the rage, for back splashes and countertops, bathroom walls and tiles. 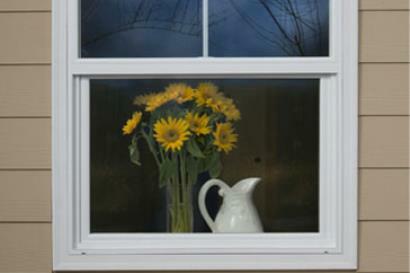 Picture frame glass is a snap, with clear glass and non-glare and anti reflective products. Tempered glass and Fire rated glass- Firelite,, Pyro ceramic, neo ceramic, and other heat treated glass for all of your safety glass needs. .
We service all of Contra Costa county, and some of Alameda County. Service in cities like Alamo, Antioch, Blackhawk, Concord, Clayton, Clyde, Danville, Diablo, Dublin, Lafayette, Martinez, Moraga, Pacheco, Orinda, Oakland, Pacheco, Pinole, Pittsburg, Pleasant Hill, Pleasanton, San Ramon, Orinda, Walnut Creek and more. Superior Glass has been around since 1972. For over 40 years Superior glass has taken great pride in providing complete glass service to a wide range of consumers. At Superior Glass, our number one concern is customer satisfaction. It is our desire to show you what old-fashioned service is all about, and thereby earn your business and respect. We believe that this can be accomplished by providing superior service for both business and residential, quality products and affordable pricing, all in a timely manner to meet our customers' needs. Our showroom in concord is closed, we are still open for business and deliveries available.